A Little Horse Called Pancakes and the Big Scare Candice Noakes-Dobson returns with her 4th instalment in the A Little Horse Called Pancakes Book collection – A Little Horse Called Pancakes and the Big Scare. 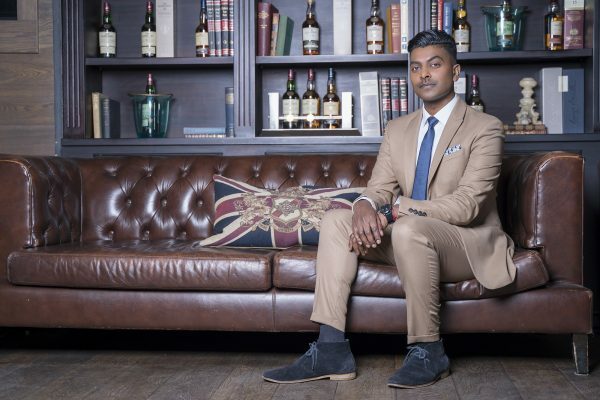 This story is adapted from real-life characters and events within the Cape Town horse-riding community. Set against the backdrop of an all-important dressage competition, the story sees the legendary miniature horse taken ill by a life-threatening sickness. Disaster is averted by the love and care of AnnaB, once again illustrating the amazing bond between human and pet, before Pancakes finds a unique way to repay her love. “We are so excited to also feature South African dressage superstar, Nichola Mohr, in this story too. She has been such an inspiration to AnnaB, and is living proof that with hard work anything is possible,” says Candice. Nichola is currently in Germany with her horse, Callaho Winston, as they prepare to hopefully be the first South African born horse and rider team to compete at the Olympic Games. As with the other books in the series, this story hopes to inspire not only a love of reading in children, but also a love for all living animals and how powerful these friendships can be. All proceeds from the book are donated to SARDA (South African Riding for the Disabled Association). For more information about Pancakes and the adventures that he and AnnaB get up to on a daily basis please follow them on social media: Facebook – @pancakesbookcollection Instagram – @alittlehorsecalledpancakes CLICK HERE to submit your press release to MyPR.co.za. . . .
By Devan Moonsamy, CEO of The ICHAF Training Institute The Cape Winelands is facing a severe eviction crisis. A few days ago the Supreme Court of Appeal threw out an application from a property developer to allow the removal of two families. This is only a temporary victory as the property developer still has other options. Not all tenants in these circumstances have been even so fortunate. The May family of 13 people were evicted last week from a wine farm where they had been living for almost 40 years. Their possessions were dumped on the side of the road and they were forced out by armed security guards. About 20 000 people in what many people think are the tranquil surrounds of the Cape Winelands are also facing such prospects. It truly is a crisis. There are a number of issues and misunderstandings about the tenant-landlord/lady relationship which have contributed to this problem and which require attention: 1. Tenants often have to pay for background checks to reassure the landholder of their good standing. They also must provide references. But a landlord/lady is not required to do the same. This means that tenants have no such safeguard against a landholder who will not treat them fairly. 2. There is no reporting and background checking system for landlords/ladies. There is not even an informal system, website, or online forum where tenants can report a problem landlord/lady. Potential tenants should have a way to check reviews by past tenants. If we do this for restaurants and other business, how much more important is it for people who must blindly enter into an agreement with a landlord/lady? It is advisable for communities, locally and nationally, to set up a forum with a rating system. This is not just to identify problem landholders, but to help prospective tenants find one they can trust. 3. Few people understand what the (poorly termed) ‘squatter’s rights’ are. There is much confusion about how these rights actually work and when . 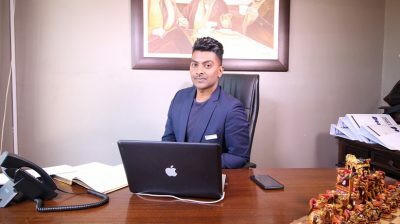 . .
By Devan Moonsamy CEO of The ICHAF Training Institute Cross-cultural competence involves the knowledge, skills, and motivation to adapt to diverse interactions. It is a major way in which we can contribute to intercultural cooperation. Some aspects of our behaviour are critical in terms of the values of a culture. However, certain key abilities and attitudes enable us to adapt to any culture effectively. Cross-cultural competency is among the most important skills for the future workforce, according to the Institute for the Future, a global research body based in California. Tim Rettig, author on interpersonal struggle and success, explains, ‘Research has long shown that diversity of thought increases creativity and, with it, the innovation potential of both teams and corporations.’ In future and now, organisations are compelled to work more with people and partners from faraway places. This does not mean emailing and Skyping with them. No, they are right there in the office with us on a daily basis. Sometimes we are the cultural outsider, and we need to adapt while trying not to be too sensitive to what would be inappropriate back home. We need to be able to explain our views as well, allowing others to understand our needs better. Benign terms? Conflict will happen in cross-cultural encounters. In itself, it may not be such a major problem, provided it leads to mutual understanding. As an example of how cross-cultural competency doesn’t happen, consider the following: An overseas client visits the workplace. They know little about SA. In chatting with a company employee, they hear that their accent is distinct, and ask, ‘Are you a Boer?’ The employee is indeed Afrikaans, but they find the term Boer offensive. Some Afrikaans people do not mind the term, but others feel that it has been used in a derogatory way. The employee becomes angry and says, ‘You can’t speak to me like that!’ The visitor is taken aback and feels insulted and confused. In . . .
By Devan Moonsamy CEO of The ICHAF Training Institute How much do you know about Nomalizo Leah Tutu (86), the wife of Desmond Tutu (87)? The dynamic couple have been married for almost 65 years. Mrs Tutu has always been a stronghold for the Archbishop. She is highly accomplished and has devoted her life to workers’ rights and education, among other causes. Nomalizo’s half century of activism has seen tremendous success and brought relief to the lives of others. It has also empowered and inspired others to keep pushing the workers’ movement forward. How so? Fighting for domestic workers’ rights In 1981, Nomalizo Tutu co-founded the SA Domestic Workers Association. The organisation grew into the South African Domestic Service and Allied Workers Union (Sadsawu). Sadsawu is part of the International Domestic Workers Federation (IDWF) which operates in 20 countries. The seeds sown by Nomalizo and her comrades almost 40 years ago have flourished and now form part of an organised global labour movement. What is more, an exciting development in domestic workers’ rights is taking place in South Africa now. The Second IDWF Congress was held in Cape Town in November last year. Keynote speaker Shawna Bader-Blau stated, ‘South African domestic workers are about to win equal standards for health and safety and wages. When we stand together, South African domestic workers will win.’ Bader-Blau is referring to an amendment to the Compensation for Occupational Injuries and Diseases Act (Coida). The legislation excludes domestic workers from its definition of an employee. This encourages the harmful view that domestic work is not ‘real’ work. Thus, in the case of an occupational injury, illness or death, domestic workers cannot claim from the compensation fund. Sadsawu correctly highlights that this exclusion of domestic workers is ‘irrational and unconstitutional’. We currently await the amendment to the Act, which will be a landmark victory for workers’ . . .
At 8am on Friday 15 March, early bird entries for the iconic Trappers Bloemfontein 4 Peaks Mountain Challenge presented by Bloemfontein Courant, will be open for a limited 24hrs at vastly reduced rates. “Due to demand we have decided to open entries early for this year’s race and to allow entrants to customise their race to suit their budget,” says race organiser and director, Adrian Saffy from Pure Adventures. Apart from the traditional 24km route – which is known as the toughest 24km mountain race in the country – race organisers have also added a 10km panoramic route, which will follow the base of the mountain range as a great option for those not yet ready to tackle the mountains. “What makes this route so unique is the abundant game life that runners will be able to see,” says Saffy. “As with the 24km route, the 10km will also have limited entries to allow runners to experience the true magic of the event and preserve the pristine nature of the mountains.” A 20km and 40km mountain bike race have been added to the Sunday events – ensuring something for the whole family to do, as well as being great for those who enjoy multi-sport events over a weekend. The events will take participants through the picturesque Moolmanshoek Private Game Reserve on Saturday 21 and Sunday 22 September 2019. To get your early bird entries makes sure you go online at 8am on Friday 15 March 2019 to take advantage of the reduced rates http://4peaks.co.za/. CLICK HERE to submit your press release to MyPR.co.za. . . .
Why is it so important to stay positive? By Aida Persian, Clairvoyant Positive thinking - it should be one of the easiest things we do, yet like with losing weight and living a wholesome, healthy lifestyle, it doesn’t seem to matter how much advice we are given, maintaining it feels almost impossible at times. Switch on any TV news channel or open any newspaper and we become easily bombarded with the negative – road accidents, criminal acts, war, terrorism, hunger, poverty, incurable diseases and the list goes on and on! 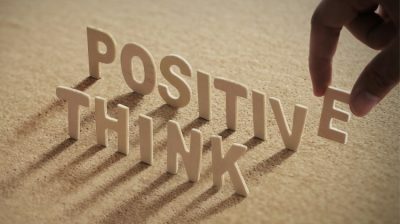 Despite all that has been said and written in the past about this topic, I honestly believe that the power of positive thinking is still one of the most fundamental truths remaining misunderstood by many people throughout history. To answer this question in a simple, logical way I have used some examples to help grasp this primary truth. I hope these are able to help you to create a more joyful, productive, energetic, meaningful and even more purposeful life. Everything that has ever been created in the history of mankind was first a thought! Every piece of architecture, every design, every invention, every poem or book that has ever been written was inspired or started by a thought process more often than not rooted in a not so positive experience, but rather a catastrophic event, natural disaster, loss of a loved one or loved ones, divorce, bankruptcy and so on. The depths of despair often inspire a choice that gives birth to an idea, a thought that allows us to turn that painful event into a more positive creation, a glorious artistic foot print! Behind most breakthrough discoveries or invention there is some sort of life challenge, traumatic experience, pain or suffering and also a need, the need to elevate pain, to make a difference, to have a better life, and that’s not only for the discoverers, creators or the inventors themselves, but also for the rest of the world around them. We all know about Thomas Edison’s learning difficulty at school which lead his mother to . 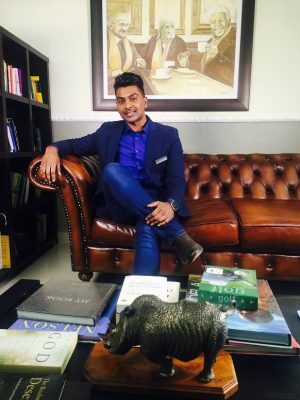 . .
By Devan Moonsamy CEO of The ICHAF Training Institute A dynamic public speaker is someone who can deliver a talk or lead a discussion successfully according to the needs of the context and the audience. It doesn’t mean that you need to put on a show or pretend to be someone you are not. Fear of public speaking is the most common phobia that people have. How do we overcome this fear? It was something I needed to do, and which many people have done already. You too can overcome your fear of speaking in front of groups of people. This phobia is not abnormal. Speaking in front of others is daunting because we feel they are judging us. But this can be used to our advantage. If we do well in our speech or discussion, we will make a major positive impression on the audience and promote us in our career. To deliver a dynamic presentation, there are three broad categories of aspects to master. The body: Focus on slowing your breathing and taking deeper, more full breaths. Breath management is key to helping you stay calm and speak well. Experts also say that we need to control nervousness, not eliminate it. Nervousness is an ally if we redirect it. It gives us an extra spurt of adrenaline that we need to give us the edge in public speaking. The secret is in learning how to control it, not trying to get rid of it because that is a losing game. Use diaphragmatic breathing and avoid upper chest breathing. This helps amplify your voice. You don’t have to open your mouth too wide. Rather use a medium closed mouth which creates resonance and medium volume which is preferable. There is no need to shout or raise your voice too much; it puts people off. If you are using a microphone, don’t speak too close to it. Hold it at a 45° angle at least 10cm from your mouth. Remember that people’s ears can be hurt if you speak too loud. If you speak too close to the microphone, it creates a ‘boom’ noise and the sound engineer will have to reduce the volume considerably . . .
By Devan Moonsamy CEO of The ICHAF Training Institute Do we truly understand what racism and sexism are? Do we truly understand why it is offensive, and why it should end? The word offensive has been overused in the context of discrimination. It feels like it has a weak meaning. What is this offence caused? We need to go deeper. Racism and sexism cause pain. That is something we seem to miss in all this mess of accusations and flaring tempers. Discrimination tells the target that they are not good enough simply because of certain physical features, but which do not fully define who they are in any case. Certainly, our gender, race and colour do determine some things about us – and we should all be proud of the positive aspects of our heritage. However, it is extremely hurtful when these features are used as an excuse for ‘less than’ treatment. Racism and sexism lead to anger. People want to get even, often more than even, because it is not the first time they have faced such treatment and the pain and frustration has built up inside them. It is thus a case sometimes of the straw that broke the camel’s back. Racist or sexist remarks and acts of discrimination tell the victim that they are inferior and will never be anything other than what the racist or sexist defines them as. This is ‘offensive’, yes, but let’s forget about that word for now. Let’s focus on the fact rather that it causes immense pain, sometimes long-term or life-long distress which, while people may hide very well for a time, is no less a reality. It damages a person’s and even an entire population’s sense of self-worth, and it oppresses them. It may force them to accept a lower position, which there is no valid reason for them to occupy, at least until they fight back and reclaim equality. What has happened about the allegations of sexism at the African Union Commission? Institutionalised or politically sanctioned racism and sexism are out. However, there is a subtle . 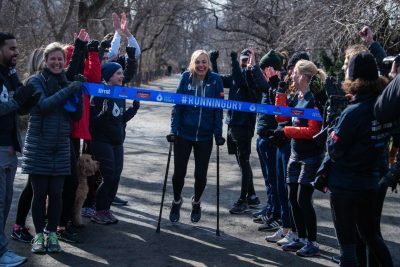 . .
#RunningDry community joins with Mina Guli on marathon 100 NEW YORK, February 11, 2019. International water activist, Mina Guli’s #RunningDry movement came full circle on Monday 11 February, 100 days after Mina kicked off by running the New York Marathon. Having initially started as a solo campaign for Mina to run 100 marathons in 100 consecutive days around the world to raise awareness for the global water crisis, the campaign turned into a movement after marathon 62 when Mina fractured her femur and was no longer able to continue on her own. Thousands of people from more than 44 countries across all 7 continents banded together to cover the distance for Mina, logging a collective distance equal to the distance from the North to South Pole, whilst at the same time pledging to do what they can to save water. The sport of running was used as a way to highlight water issues around the world. “Over the past 100 days we have seen first-hand the enormous impact on families, communities and economies when taps run dry. But we have also had the privilege of meeting incredible water heroes around the world who are 100 percent committed to helping save our most precious resource,” says Mina Guli. Starting with the New York City Marathon on the 4th of November 2018, Mina ran a marathon every day, while travelling to run across Europe (UK, France, Italy), Uzbekistan, India, China, Hong Kong, Dubai, the Middle East (Jordan, Palestine, Israel), and South Africa where an acute fracture was identified in her femur. She then went on to Australia before heading back to the USA to finish the 100-day journey back where she started in New York. “When I broke my leg in Cape Town someone told me an old African proverb – if you want to go fast, go alone; if you want to go far, go together – which perfectly sums up the #RunningDry movement,” says Mina. “Together we have created a movement for change - people around the world stepping up for water saving, and committing to . 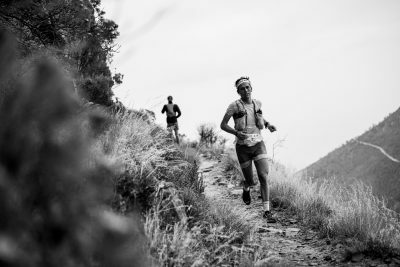 . .
Ryan Sandes will be lining up with the some of the world’s best ultra-marathon trail runners for the 11th annual 102km Tarawera Ultramarathon in New Zealand on the 9th of February. Known as one of the most competitive races in the ultra-running world, Ryan will be using this race as part of Western States preparations. “Tarawera is a great early season race to be taking part in, especially as a lead up to Western States which is my focus race for the first part of 2019,” explains Ryan. “The conditions at the race are fast and runnable throughout, which is very similar to Western States, so it will give me a goof idea of where I am with my overall strength and fitness!” The 102km route, which is based in Rotorua, New Zealand, sees 2000 athletes traversing through sites of cultural significance to the native Maori’s including 7 lakes, forests, waterfalls and what has been described as the most stunning scenery imaginable. After completing the Great Himalaya Trail FKT with running partner and friend, Ryno Griesel last year, Sandes explains that the rest of his racing season for 2018 didn’t go according to plan. “I really enjoyed Tarawera in 2016, and I am hoping that running it again this year can help me to mentally be on the “right-foot” for Western States,” says Ryan. The race has attracted many of the worlds’ top trail running elites including Americans Cody Reed and Tim Freriks and Brit, Harry Jones, to mention a few. The 2019 Tarawera Ultra forms part of the Ultra Trail World Tour and is also a qualifier for both Western States and Ultra Trail Mont Blanc. To follow Ryan live on race day (Saturday 09 February 2019) please make sure to follow his social media pages: Facebook - @Ryan.Nicholas.Sandes Twitter - @RyanSandes Instagram - @RyanSandes www.ryansandes.com CLICK HERE to submit your press release to MyPR.co.za. . . .